At Ling & Su, LLP, our mission is to successfully and efficiently assist our clients through each step of the immigration process. We strive to educate our clients on how immigration laws affect their businesses and families. Our attorneys keep updated on the latest news affecting the immigration arena, and are educated on the most recent changes in immigration laws. We pass that information to our clients so they may stay well-informed on issues that could have an effect on their goals. Karen J. Ling earned a B.A. in Political Science with a minor in Public Policy from the University of California, Berkeley, and a J.D. from Santa Clara University School of Law. During law school, she received the Law Faculty Scholarship and served as Managing Editor of the Santa Clara University Computer & High Technology Law Journal, External Vice President of the Asian Pacific American Law Students Association, and a student leader during orientation for the Academic Success Program. 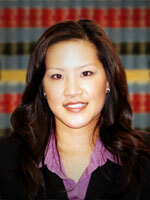 Karen is a member of the California State Bar, the American Immigration Lawyers Association, the Asian American Bar Association, and the Santa Clara County Bar Association. Prior to co-founding Ling & Su, LLP, Karen gained extensive experience managing both the employment-based and family-based immigration department of a San Francisco immigration law firm. Her experience spans a number of immigration matters both temporary and permanent in nature, and her clients include established businesses and start-up companies, individuals and families. She is skilled at communicating with the agencies related to immigration matters, including the U.S. Department of Labor, the U.S. Citizenship & Immigration Services, and the U.S. Department of State. Karen takes pride in providing exceptional customer service, aggressive representation, and favorable results for the client. She is proficient in Cantonese and beginner Spanish. 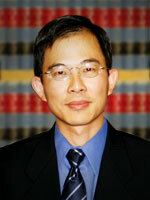 Andy Su is a co-founding partner of Ling & Su, LLP and is a member of the California State Bar, the American Immigration Lawyers Association, and the American Bar Association. He earned his undergraduate degree in Integrative Biology from the University of California, Berkeley and his Juris Doctorate from the University of the Pacific, McGeorge School of Law. While at McGeorge, his education included coursework in United States Immigration and Nationality Law. At McGeorge he was involved as a student and later as an employee in the law school's Immigration Law Clinic assisting low-income community members who would otherwise be unable to obtain legal assistance. Andy believes in delivering personal service and especially enjoys working with clients to reunite families. He also represents small and medium sized information technology firms in obtaining and retaining employment authorization for key employees.